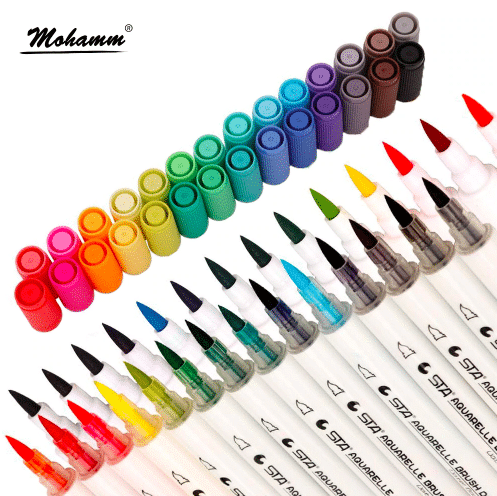 Once you start collecting stationery, it becomes similar to coin collecting. You can’t have too many. 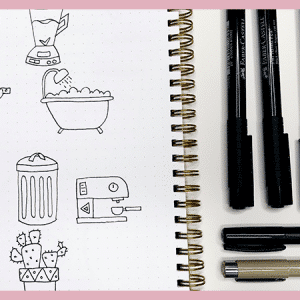 Here’s how you can get some of the best bullet journal supplies for less money. Despite having an obnoxiously large corner desk with lots of room for storage, I’m running out of place to put notebooks and pens. Do I consider this a problem? But, it can be fixed… with MORE STORAGE. 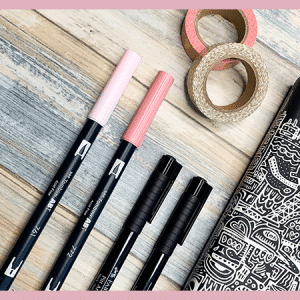 Stationery hoarding is a real thing. It’s not talked about enough in the bullet journal community, but it’s real. And you likely know this if you have been bullet journaling for a year or better. Now, I’m not saying that you have to be a stationery hoarder to be a bullet journalist. In fact, having more supplies doesn’t make you any better than the next person. 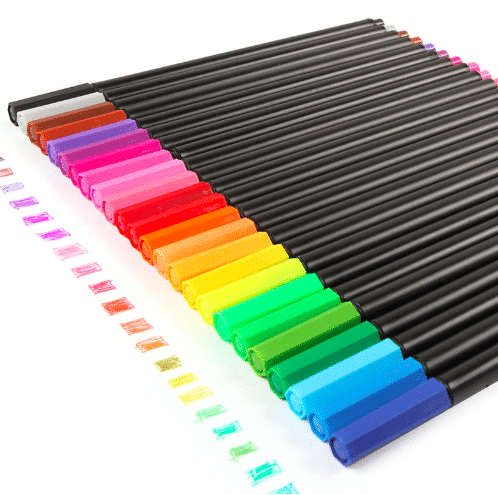 And for the most part, you’re still going to use your two favorite pens and a couple markers. But, the truth is, most of us want more. Damn materialistic society! I hold no judgment against you. I’m with you! 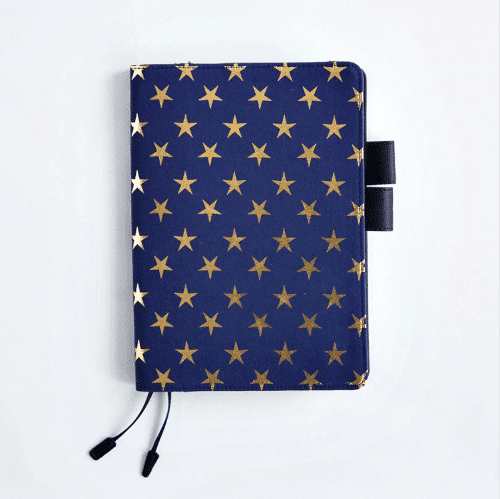 So, as long as you don’t need your bullet journal supplies in the next two days (if you do, get a 30-Day Amazon Prime Free Trial), save yourself some money and give AliExpress a try. I have been ordering random things from AliExpress for over a year and haven’t had a problem. And most items show up much earlier than expected. Read the product reviews. Some are very generic– it’s a great product. I really like it. But, if you take the time to scroll through them, you will likely find some that give good details– the paper quality is great. It’s thick and there is no bleeding. 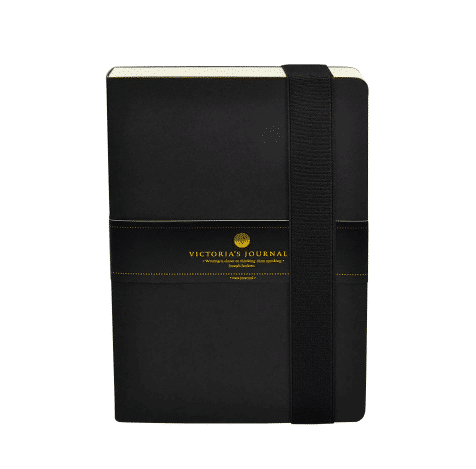 And the cover is really nice and durable. Read the seller reviews. This is just as important as the product itself. Even if the product is great, if the manufacturer is regularly not shipping items on time or shipping the wrong items, you may not want to risk it. Check the return policy. Different sellers offer different return policies. Some accept returns but want you to pay shipping costs. Some don’t accept returns at all. And some will say if the product isn’t as described you can just keep the product and they will grant you a refund. This process of checking all of the details and finding a product that you love can be time-consuming. 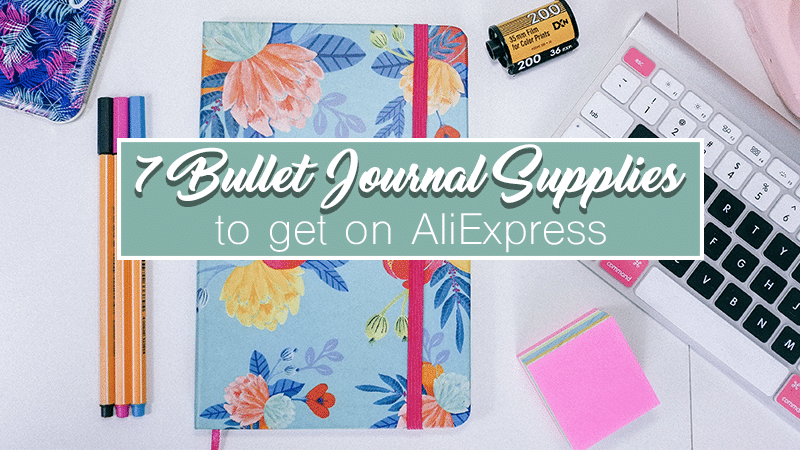 So, I cut out some of the hard work for you and put together this list of 7 surprising bullet journal supplies from AliExpress that are totally worth it. I have already checked the reviews, item details, and seller reviews to make sure you’ll get the item described in a reasonable amount of time. 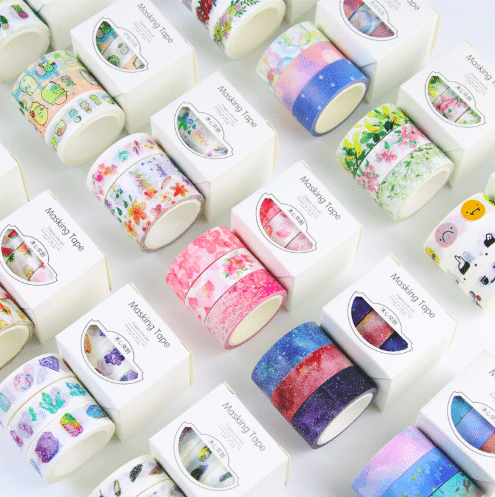 So, you can add to your stationery collection without stress and without breaking the bank. 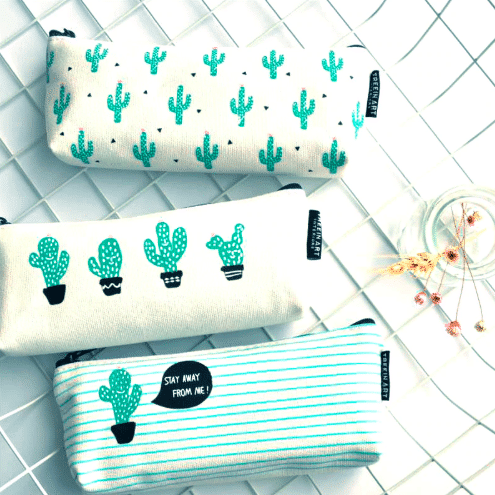 Interior pockets for credit cards, notes, etc. Frame design for notes, goals, etc. 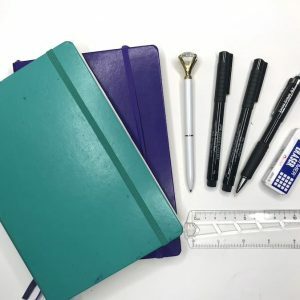 While I haven’t ordered the majority of my bullet journal supplies from AliExpress, I have ordered small pocket notebooks in bulk, pens, rulers, and a few other miscellaneous supplies. Again, I double-checked the product and seller ratings and read through the descriptions and reviews. But, overall my experience has been nothing short of great. I have received every item I have order. They have all been as pictured and described. And everything has arrived ahead of schedule. 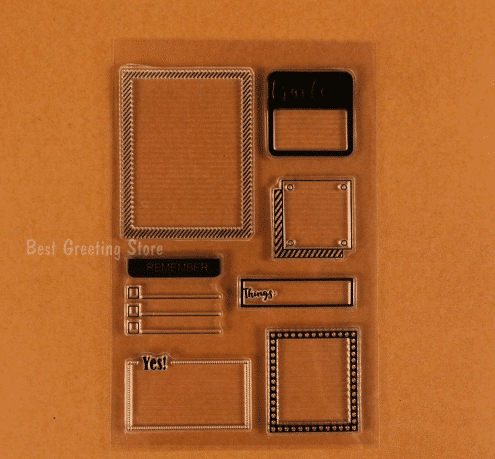 So, if you have been hesitant to try AliExpress, don’t be. Of course, there are going to be poor sellers and not-quite luxury products. But, if you take the time to check over all the fine print and details, you will likely get a good deal. The only downside is the wait time. And unless you are going to pay to have your items rushed, there isn’t much you can do about that. Hence, the need for an Amazon Prime membership for those of us who are impatient. If you have previously ordered from AliExpress in the past, please share your experience below for others. Good or bad, hearing about first-hand experience can help someone else make the right choice for them.